Volume 4, Edition 29 Trouble loading? View this email online. 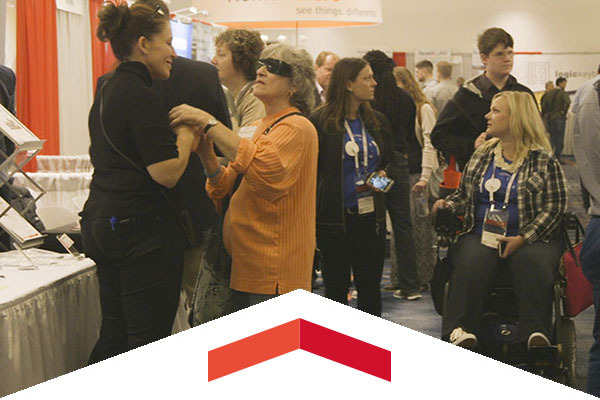 More than 5,000 people gathered in San Diego for the 32nd CSUN Assistive Technology Conference – and is the largest of its kind in the world – an event that explores new technology designed to assist people with disabilities. The second annual Bull Ring New Venture Competition, a contest where entrepreneurial CSUN students pitch their ideas for business startups, is now in full swing. From now until mid-April, CSUN faculty mentors will help students master the art of the “pitch” for the semifinal event on April 4. 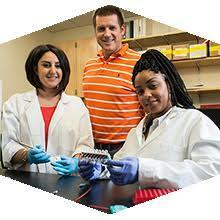 The National Institutes of Health has awarded CSUN biology professor Jonathan Kelber and his team of graduate and undergraduate students $1.46 million over the next four years to support their ongoing research studies of the cancer “support wall” gene called PEAK1. Thur, March 16, 8 p.m.
One of Europe’s finest orchestras, the St. Petersburg Philharmonic Orchestra, led for more than 20 years by legendary Yuri Temirkanov, will perform the epic Shostakovich Symphony No. 5 at the VPAC. Winners of five of their last six games, the Matadors will host the Matador Classic starting at 8:30 a.m. against Weber State on March 17. On March 19, head to the field early and receive free Sundae Funday ice cream before CSUN faces Quinnipiac at 3:30 p.m. They close out the Matador Classic hosting Murray State in a doubleheader starting at 11 a.m. on March 20. Fri, March 17, 7 p.m. The Matadors will bid farewell to seniors CJ Suarez and Jakub Ciesla in their home finale against the 49ers. For the many CDS alumni who are attending the annual California Speech and Hearing Association (CSHA) Convention & Exhibition in Pasadena this Saturday, CSUN is having its third annual alumni luncheon. Join fellow Matadors, President Dianne F. Harrison and Chancellor Timothy P. White at the annual CSU New York/Tri-State Alumni Reception at the exclusive and historic University Club of New York. 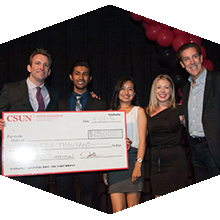 Network and share your common bond with CSUN. We plan on filling the room full of Matadors! The City Club of Washington is opening its doors to Matadors in and around our nation’s capital for a networking opportunity that you can’t miss. Join fellow Matadors and President Dianne F. Harrison at the annual CSU Alumni Reception in Washington, D.C.
Lane Ryo Hirabayashi – Executive Order 9066: Déjà Vu or Redux? The Oviatt Library invites you to join for a buffet luncheon and presentation by Lane Ryo Hirabayashi, professor in the Department of Asian American Studies at UCLA. Hirabayashi will revisit the events that led to FDR’s signing Executive Order 9066 75 years ago. Admission is $20.